Interested in Mennonite Genealogy? 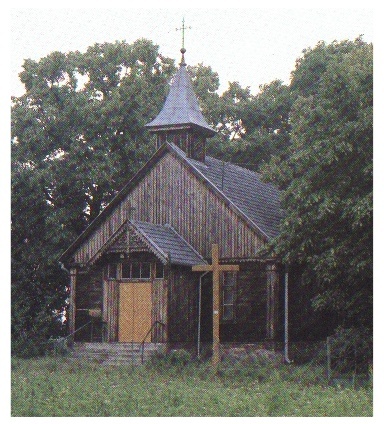 Do your Mennonite roots trace to Russia and Prussia? Do the names, Neumann, Gaede, Bergen, Regehr, Loewen, and Heidebrecht sound familiar to you? How about names like, Chorengel, Suydam, or Bay? Hopefully this site will be able to help you in finding resources for your search. Something usually happens in a family for someone to become interested in genealogy. For me it was the death of a great aunt that I knew nothing about. My love of genealogy has just grown with "leaps and bounds". When I make a discovery I am flying so high. I love to share the information with my family members and hope they receive as much joy from this as I do. I dedicate this site to my family members as well as other genealogist out on the front lines continuing their quests on a daily basis. Once you begin your quest you will find yourself addicted beyond belief. I check my mailbox daily hoping new information has arrived. The contacts I have made online have been invaluable. I have met distant cousins in far away lands and enjoy the continuing contact. Not only do I have a very strong Mennonite background, from my maternal grandmother's side she contributes: Dutch, German, & Norwegian. So come in and make yourself at home. This site will always be growing so come back often. I hope you enjoy yourself and don't hesitate to email me if you find a broken link or some other problem. I hope to create a site with personality, not just dry research information. Hopefully I have succeeded. Feel free to let me know what you think. If you think there is a connection between our families please let me know so we can share information. I have also tried to include a guestbook on each family page. (I have recently run into a problem with the guestbooks, they will only hold 800 character messages. If you want to post a message containing more than 800 characters - email the message to me and I will post a link to it from the appropriate page. Make sure the subject line reads: For Posting and the Family Name. I have also included a link below to search my entire database on Rootsweb. This includes the persons not listed on this website. On this website I have only posted my direct family line. Rootsweb is all the data I have compiled. If you make any connections through this page let me know. I always like to know I've helped in some way. Enjoy your time here and come back often. I have added a new forum to post any questions you may have about doing Mennonite research. Questions can be about families, regions, villages, or countries. Please remember that this is Mennonite Research only. If you have questions about German research in Germany I will be adding another forum for those questions. Please feel free to leave information that may help other researchers!!! 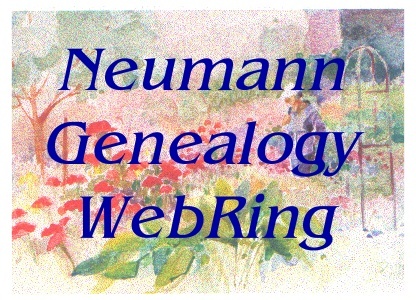 Join the Neumann Genealogy WebRing!! If you have a website with information on the History of Prussia or are a personal example of the Legacy of Prussia, by being one of her descendents, join this NetRing!!! This search engine does not search the guestbooks. Make sure you check them before leaving!